living room in Kobe, Japan. This gave the early start to ASICS. Soon, he expanded ASICS to the running shoes. Marathon Tabi was his first pair of running shoes that came out in 1953.
companies in the USA in the year 1977. That is when he changed the name of his company to ASICS. ASICS is an acronym used for the Latin phrase Anima Sana In Corpore Sano which means “a sound mind in a sound body”. ASICS has since then grown into one of the topmost running shoe companies. 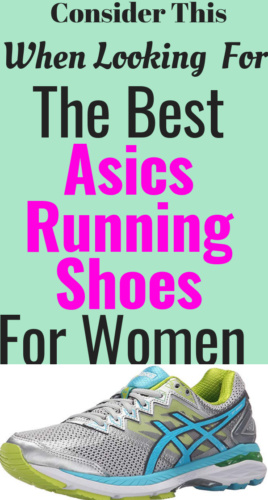 And today I will share with you the most purchased, and most popular and the highest ranked best Asics running shoes for women. shoes. ASICS is strongly committed to providing high-quality running shoes. It is their dedication and the hard work that makes them one of the favorite running shoes amongst all the runners. Check an earlier post on running shoes for men if you missed it. In May 1990, ASICS opened its own Research Institute of Sports Science in Kobe. There, the company conducts all the materials tests and biomechanical researches. It helps in fine-tuning the designs and technicalities of their product. 1.The Gel shock absorption system: The best ASICS innovation. No Time To Read All? Here Are The Top Asics Running shoes. runner’s choice of brand. It has been in the business for developing sports apparel and high-performance running shoes for more than 50 years. ASICS can and does command a dedicated following among the amateur as well as elite-level athletes. ASICS offers you so many options to choose from. But how can you find the best type of ASICS for you? To help you with that, here is an overview of the basic and important thing to know that can simplify your decision-making process. You decide which category you fall into. With that, you will be able to determine which type of ASICS works well for you depending on your running gait and your all-around running ability. Picking shoes from the right category are essential as the wrong ones can end up hindering your performance and even makes you more susceptible to injury. 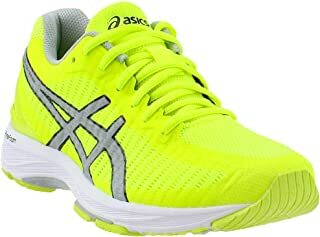 The stability of running shoes developed by ASICS sets the Japanese brand apart from other sporting goods manufacturing companies in the market. The ASICS hit it off with the broad strokes and grace notes. The legendary GEL KAYANO series is the best example of it. The series continues to be the benchmark running shoes in the stability. The stability shoes are specifically designed for athletes that tend to overpronate as they run. The stability shoes offer medial support and cushioning blended to curb the excess pronation and to counteract inwards roll. injury. It also helps in dispersing the impact force more evenly via the outsole. This reduces the wear and tear of shoes. Impact Guidance System: It improves the running gait efficiency among mild to moderate overpronators. they run. The cushioned running shoes are usually lighter. They have no motion control features since they are made for athletes and runners that need minimal to no pronation support. Athletes or runners with underpronated or natural stride need maximum impact protection. Usually, the natural foot roll helps in dispersing the impact force. But for those who lack the natural foot roll are more susceptible to impact-related injuries. It places more strain on their joints. minimizing the possibility of injuries. 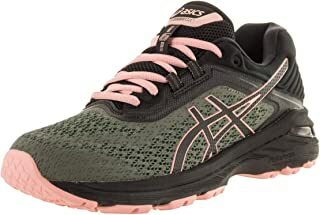 ASICS have a range of shoes in this category. All of them offer exceptional comfort and plenty of cushioning. runners. These runners are those who want maximum responsiveness as well as a more barefoot running experience. Such runners are typically more advanced runners. These types of shoes generally offer less support. The midsole is stripped down so that the foot is allowed to ride closer to the ground. Natural running shoes are also lighter and can incorporate a lower heel-to-toe differential. It encourages running from the mid and the forefoot which promotes a more barefoot feeling. These type of shoes place a greater emphasis on flexibility and freedom. They do away with anything that is superfluous and only retain what is essential for the basic functionality of the running shoe. tend to incorporate significantly more cushioning. ASICS running shoes, the best ASICS walking shoes, and the best ASICS football cleats by the millions. It is very good for the forward movement using your feet. This ASICS running shoe is just like the GT 2000 with additional stability. The GT3000 offers extra support to counter more severe overpronation and to those who need higher stability. ASICS Kayano is the best running shoe when it comes down to the cushioning. 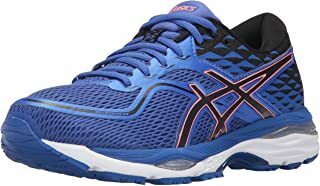 It is a premium ASICS running shoe which offers the stability of the GT 2000 and a generous cushioning for the comfort. Runners who have flat feet can benefit from this combination of support and cushioning. trainers. It provides the natural, comfortable, and consistent feel with a notably soft forefoot. the budget models. 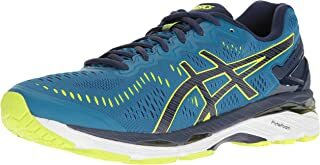 ASICS does not compromise on design and quality by making use of the dull designs, a mediocre sole technology, or odd model names. expensive running shoe models coupled with plenty of cushioning. good ASICS choice for you. worked hard to redesign the sole of its Noosa Tri-line. It uses the new FlyteFoam which is a light midsole material. It provides a sufficient bounce and the cushioning for athletes. This is the ASICS running sneakers that is closer to the cutting edge. It is designed for the uptempo training by the runners who have a neutral foot strike. The Dynaflyte&#39;s a very recent development coming out from ASICS lab but is quickly making strides across the market. It is popular as a versatile and responsive running shoe which works just right for whenever you need a running shoe that is stable, light, and fast. If you combine the GT 2000 with the lower price of the GT 1000 in neutral shoes, you will get ASICS Gel Flux 5. TheFlux doesn’t compromise on the reliable cushioning of ASICS. 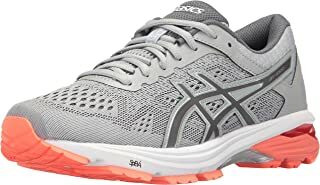 The quality provided by ASICS Flux 5 puts it among the top rated and popular ASICS running shoes. 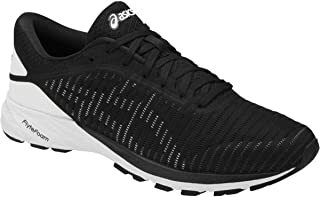 Please note that the image above is for Asics Gel DS Tainer 23 for men,the image was optically bette but women`s Asica Gel DS Trainer 23 is also available. lightest shoe amongst all the shoes listed here. It is a fast, flexible, and responsive running shoe. 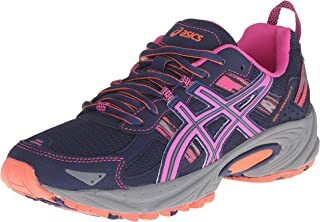 mainstream ASICS running shoes. Many runners find the highly cushioned ASICS Gel Quantum 360 extremely comfortable. Its comfort level has gained it a leading spot on highest rated women running shoes. The first thing that you must know about running shoes is that not everyone has the same needs and requirements. They differ from person to person. Or runner to runner in this case. 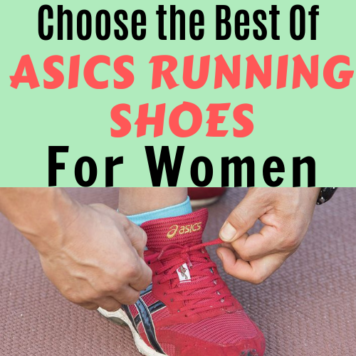 Therefore, a variety of factors should be taken into account while deciding on the right type of ASICS running shoe for you. feet. ASICS range of running shoes covers all of the bases. I really hope you found value in this post, if you have any questions, please leave me a message below and I will get back to you. It`s your choice where to purchase your running shoes if you`re purchasing offline, but if you`re buying online, Amazon has a large selection with safe and secure shipping. You can view them here all in one place. I’ve been looking for a good pair of new running shoes. Thank you! Glad you found the post useful, Asics running shoes come in a large selection and everyone can find what suits their needs. It’s funny – I have noticed the ONLY sneaker my feet like are NIKES! Glad to know you`ve found your choice sneakers,not many people are lucky enough to find their choice footwear or sports shoes,thanks for stopping by. I LOVE ASICS! They are the best shoes I’ve ever owned. I will definitely check these out, thanks! Glad you found the post useful, Asics has such a large selection of running shoes that anyone will find something. The blue one looks amazing, love it. My wife is in the market for one, i think i will get her that one as a gift. Thanks a lot. Glad you liked the post, thanks so much for stopping by. I need to get me some new shoes and these are now on the list of maybe’s! Glad you liked the footwear, it`s true they can make the difference between a good run or a run where you come home with an injury.Thanks for stopping by. I’m gonna start hitting the gym again and yep, now Asics is in my list of running shoes to choose from! Glad you found the post useful,Asics has a large selection of sports shoes for any kind of sports you can think of.Hope you`ll find the right shoes for your needs. the person like me who is fitness conscious, always want to have a perfect pair of running shoes, thanks for sharing. There is nothing better than good running shoes, it can make all the difference between enjoying your runs or jogs to coming home with injuries. Glad I motivated you and hope you`ll find a good pair if not online stores have a large selection of sports footwear for you. For running, I Asics is my top choice sneakers. I have never owned an Asics sportswear but I love the list of design in this page. I may consider having a cross training pair with Asics as my pair look quite old now. Glad you found the post useful, Asics footwear are affordable and selection is huge. Thanks Alexa, like you I love Asics running shoes,for other sports like tennis, I may go for a different brand. I am Asics girl. I never run in anything but Asics. Trial shows Noosa is best for me, I started with tri 8, I run in FF2 for two weeks everyday and am super pleased with them. Glad you found what works best for you, not all people find sports footwear they like and keep changing shoes to find the best but it remains elusive for them. These shoes look great. I have been looking for shoes to buy . Will check them out. Thanks for stopping by and glad you find Asics to be of interest, they have a large selection so I`m sure you`ll find your perfect pair. Looks like a prominent brand as the quality and style of the shoes is amazing. These running shoes selection are beautiful! Would love to share it for my sister for her to check, she might like one. Thanks! I`m sure your sister will get a perfect pair. Asics cover anything shoes, their experience means they produce so many different pairs and anyone can find the perfect ones. Thanks for the recommendations! I’m a big fan of ASIC’s Onitsuka Tiger line, but have never tried these running shoes. Go ahead and visit your local sporting goods store, I`m sure they will have a perfect pair of Asics running sneakers for you. I am actually looking for some good running shoes – I love the yellow ones! Glad you found something you like thanks for stopping by. Those running shoes look practical yet stylish. I am definitely digging in. Practicality, comfort, style, cushioning are a must consider when looking for good running shoes. I love buying shoes and running shoes is top on my lists. Having a right running shoes is really important for me because it will affect on my performance. Anyone who enjoys running knows the importance of good fitting running shoes. Oh wow, those were a really amazing pair of shoes. Perfect since I am actually looking for a new one. I’ll have to check this and see what’s the best design for me. Glad you found the post helpful, now I hope you`ll find the right pair of shoes for your runs. Those were a very amazing designs. They look so comfortable to wear. I need to get a pair of this. 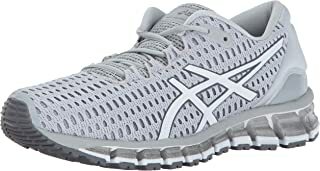 Sure Asics shoes are very comfortable, online stores do have discount Asics shoes from time to time,so keep looking for sales if you want to save some cash. Asics is such a great line of shoe product. I’ve been using this since I was in college. I am using it for my training and it was so comfortable to wear. Agree with you, Asics are so comfortable and so light they are a pleasure to wear. I haven’t tried these shoes before but I will have to check them as I am getting back into running. Thank you for sharing! Glad you found the post useful. 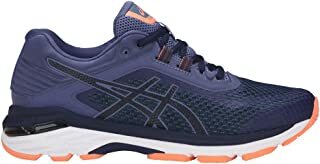 Asics running shoes are so comfortable and with the many different types to choose from, anyone will sure find what they want. Wow, they all look so cool. I love the Gel Quantum 360 shift.. It looks cool and easy to match to. thanks for stopping by,I do find that sneakers are so easy to match, put them on with Jeans and you`re ready to go.